The temperature has been rising in Brussels, and it’s beginning to feel like Summer!!! I can sit outside and drink my tea in the morning, and after-work drinks are back on the menu. I haven’t been baking much as of late, because I haven’t been home for most of May – I went to a wedding in the UK, and then I went to visit family and friends in Copenhagen for a week, because my best friend is about to have a baby, and we needed a pre-baby hangout! But this weekend I’m staying home, doing some much needed cleaning and baking, and later watching the Eurovision (oh yes, drinking games will be involved) with some friends. I had some rhubarb in the freezer, and decided to make this effortless rhubarb compote. It takes 30 minutes, and can be used as a jam, in layer cakes (I made it with layers of meringue and whipped cream with a bit of elderflower for my sister’s birthday last year! ), and makes your kitchen smell awesome. 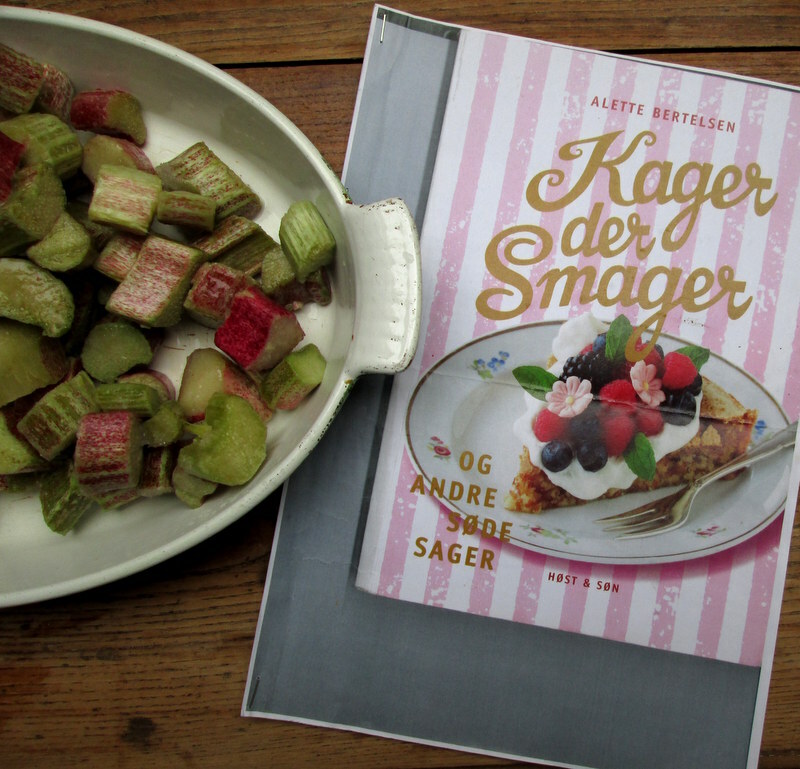 The recipe is from a lovely book called ‘Kager der smager‘ (Tasty Cakes). 120 g sugar (3/5 cup) (I used the vanilla pod infused cane sugar mentioned above 🙂 ). 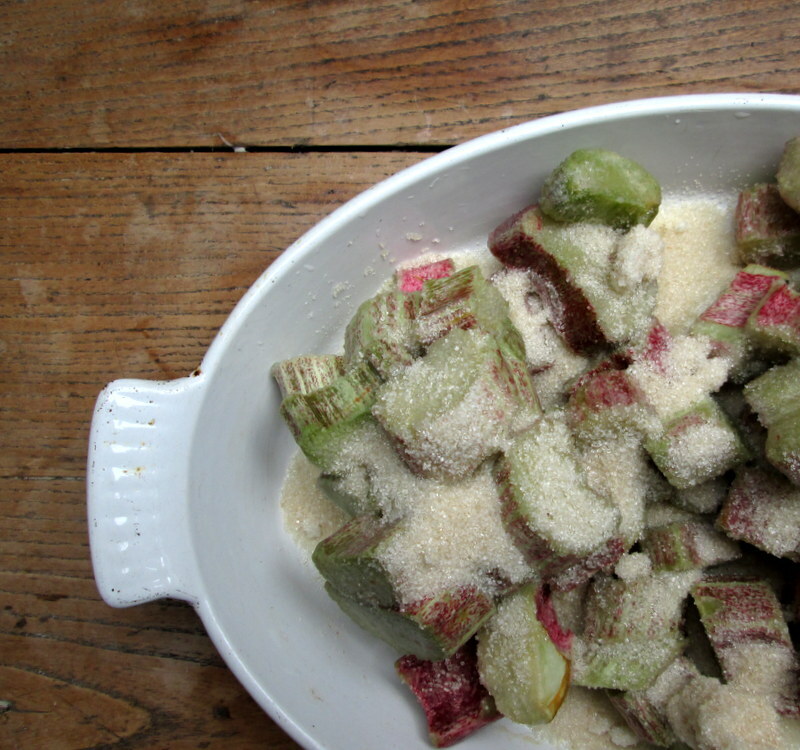 Cut your rhubarb into chunks of about 3 cm, and spread them out in a ovenproof dish. 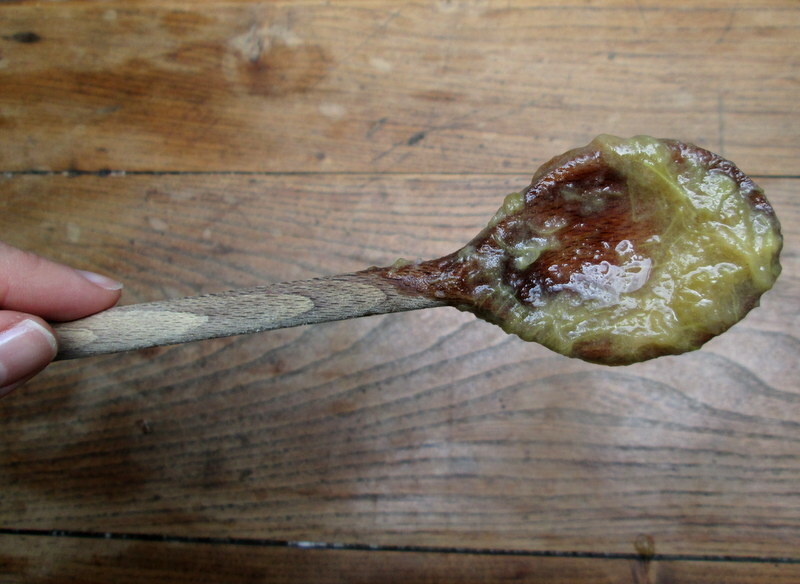 Scrape the seeds out of the vanilla pod and add the seeds to the sugar, mixing, then sprinkle the sugar-vanilla mixture over the rhubarb chunks (keep the empty pods and add them to jars of sugar for fragrant vanilla sugar to use in baking and whatnot!). Add the three tbsp water, and place in the middle of the oven, preheated to 200°C/400°F. Bake for about 30 minutes, stirring now and then, until the whole thing has disintegrated into a beautiful mess. I had to bake mine for a wee bit longer, since the rhubarb had been frozen. Let cool, then use as you like 🙂 keeps in the fridge for a few weeks in a sterilized jar, or in the freezer for several months.